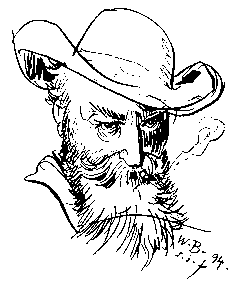 Wilhelm Busch (durch Mouseover öffnet sich das Bild). Das Prinzip ist ähnlich wie bei Snap Preview Anywhere (oder WebSnapr) allerdings wird bei ”WebImageSnap” nur das verlinkte Bild dynamisch per Ajax dargestellt. Die Grundidee dahinter steht in meine Blog. WebImageSnap ist nur eine kleine Erweiterung der jquery-Bibliothek. Es wird beim MouseOver-Event der angegebene Link als Bild geholt und quasi als Tooltip eingeblendet. Dies ist doch ein Tutorial. Du musst dich schon ein wenig mühen und die Sache bei dir selbst einbauen! Du kannst den Style natürlich deinen Wünschen und deiner Site entsprechend anpassen. Bei WordPress z.B. im Theme deiner Wahl in header.php (Bei WordPress brauchst du jQuery selbst nicht mehr einbinden – das gibt es schon frei Haus dazu). As I was searching through the web to find something useful concerning “web scraping”, I was astonished about the lack of information. So I decided to put up something myself. Isn’t there anything useful out there? I know “web scraping” (or “screen scraping” in general) is a disgusting technique and I have to admit: it usually makes me puke. But, well, there are times, when you have no other chance (or even worse: you have a chance but that one is even more horrible). After doing several web scraping-projects I will put together some of the experience. The following examples will be shown in PHP and Tcl (version > 8.4.2 and tdom 0.8). But as far as I know, other languages could easily used with similar techniques (Ruby for example). Before starting to scrape something off the web, be sure there is no better way. Often you may find an official API that should be used (e.g through Web Services or a REST-API) or there are other services that deliver the needed information. And moreover convince yourself that web scraping is at least not forbidden. Some big sites state in their terms and conditions that scraping is not allowed. You should respect that. And furthermore be aware that your requests add to the load of the target site. Always keep in mind, that you are retrieving information in a way that’s surely not intended by the sites-owners and -operators. So be nice and don’t make too much requests. If you’re taking content from other sites without the permission of the creators you will, depending on the usage of this content, violate copyright law. Having said that, we start with the simplest method. That’s always the first method mentioned, when somebody speaks of analyzing texts (and “analyzing text” is in general what you do when you scrape a website). Though this might be feasible for grabbing specialized texts from a page, you get in hell if you want more. So let’s look at a small example where a regular expression is enough. We want to extract the current value of the DAX. There is certainly some webservice to retrieve this kind of data. But as I wanted to make a really simple example, let’s assume there is no way around scraping. We are concentration our attention to the table with the row “DAX” and the column “Punkte”. set regexp ">DAX .*? (.*?) "
puts "Found DAX: [lindex $l 1]"
puts "Error! Retrieved [llength $l] matches"
To have a better way of testing, I’m usually storing the page locally. With file_get_contents you can simply switch from the local stored file to the web-address (as far as I know there is nothing that easy in Tcl to switch between file and url). As long as you’re trying to find out the correct regular-expression for the match, you should definitely do that with a locally stored HTML-file. Make sure that this pattern only matches once or you might retrieve the wrong part of the page. To do so, the regular expression pattern contains a little bit of the surrounding tags. Assuming that there will only be one linked text “DAX” in a table-cell, with the next cell containing a number. Further in PHP add the modifier /s (treat string as single-line) to the regular expression (or in Tcl the switch -inline). Because the text to match stretches multiple lines (see “HTML-Code 1″) and I simply wanted to ignore that. Because of unexpected and surely unannounced changes to the page (at least unannounced to you as an ”nearly” anonymous scraper), make sure that you check for the right data. If the pattern doesn’t match, there is definitely something wrong and you have to look at the HTML-Code for changes. Or maybe the pattern matches more than once, this should be wrong, too. Therefore I’m always using preg_match_all (or in Tcl -all). Well, this was easy and in fact I wouldn’t call this “web scraping”. If you want more to scrape than a single number or word from a page, forget about regular expressions.
" with regular expressions? No way! Go directly to jail! Do not pass go! A more powerful way than regular expressions? Nearly imaginable? Small mind! DOM-representation internaly. So there are other “convert bad-bad-bad html to dom”-tools out there. Let’s start with another simple example. We want to find out how long a search on google takes. First we have to feed the HTML into the DOMDocument (let’s search for “scraping”). To get the url just go to the website, enter “scraping” and copy the resulting url to the code. You will get tons of warnings from the method loadHTML. As we know that this is badly formatted HTML, we will silently ignore those. Search for the duration of the search, we simply have to get the div-tag with id resultStats. And below that the nobr-tag. puts "Query took: [[$nodeTimeList firstChild] nodeValue]"
With the XQuery //div[@id='resultStats']/nobr we get all the nobr-tags that are below a div-tag with the id-attribute resultStats. And because it is an id it really should be only one. But you never know. The search might give no results. In that case we wouldn’t get a node-list-object, so we check for the existance and that there is exactly one element ($nodeTimeList->length == 1). You should always completely check your results that they exactly meet your expectations. If the search doesn’t return results you should think of some error-handling. documentation, you have to call validate() before. You won’t expect that HTML-rubbish could be validated, do you? Now let’s print the search results. Could it be shorter and cleaner? I guess no. Maybe we could again add some error-checking? I will leave this as an excercise to you. In PHP you have to use a full-blown http-reader like HTTP_Request if you want to do more fancy things like setting the useragent or retrieving the pages through a proxy. Setting the useragent might be necessary because of the target-page checking against the used browser and retrieving the page as “tcl client” might not be the most used “browser” :-). But as stated in the warning at the beginning, you should be honest and friendly toward the scraped site and identifying yourself as a “scraper” is one way to do that. But for the time being I leave it as is. Unless someone wants to improve this pigeon-english (I’m always glad if someone corrects me, please don’t hesitate to mail me all errors). As said in the beginning, there is not much information around for this subject. The windows-port of Gdbm has been successfully tested on Windows 98-SE (thanks to Nicholas Shea for reporting this).